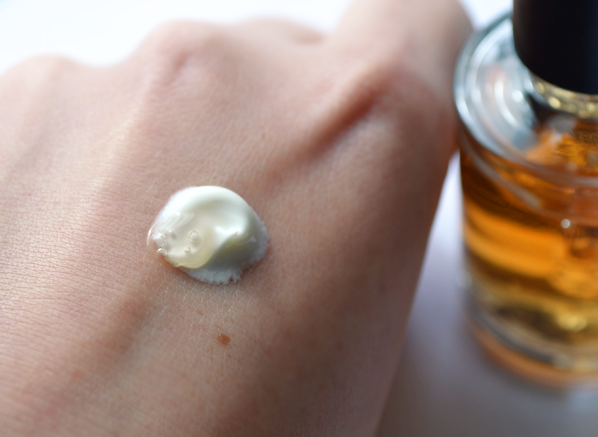 Guerlain beauty really comes into its own at summertime (and at Christmas, and spring… okay, they’re pretty sharp all year round). Each year they present a series of big launches that take you from the first rays of spring sunshine through to the balmy days of late summer, including additions to their iconic Terracotta bronzing range, a fresh new Aqua Allegoria summer spritzer, and a limited edition summer makeup collection full of tempting new colour. But enough of what’s to come, because I have news of some post-winter treats that you can buy right now. 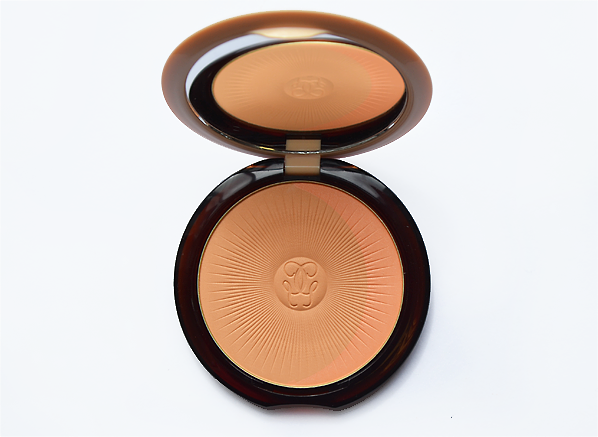 Terracotta Joli Teint Natural Healthy Glow Powder Duo is a brand new addition to the Terracotta collection, pairing the irresistible warmth and colour of Terracotta’s original bronzer with the radiance of Terracotta Joli Teint Beautifying Foundation, last year’s runaway success. 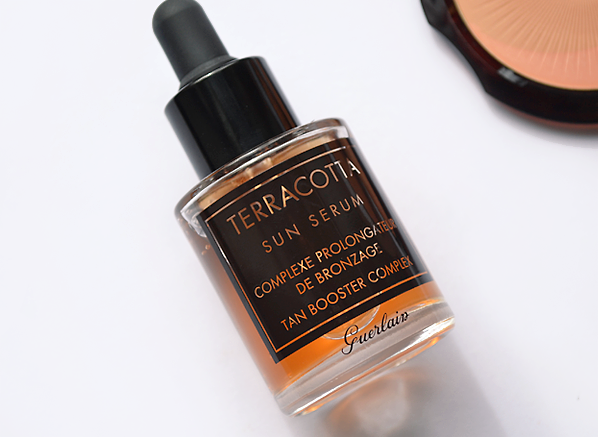 In addition, the ever-popular Terracotta Sun Serum is being relaunched (there are some other immensely popular products making a welcome return this summer, keep your eyes peeled!). Inspired by the ‘bonne mine’ glow of a weekend in the sun, Terracotta Joli Teint Natural Healthy Glow Powder is created with a base of glow-enhancing, sunkissed pigments that are more subtle than the original Terracotta bronzer. 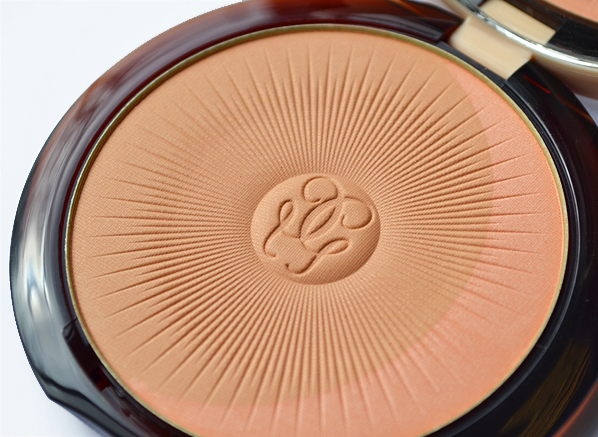 In fact, I’m not sure you can call it a bronzer at all, its finish is so sheer! Rather, Joli Teint is all about boosting skin with warmth and radiance, with an added curve of revitalising colour at the side that can also be used as a blush. 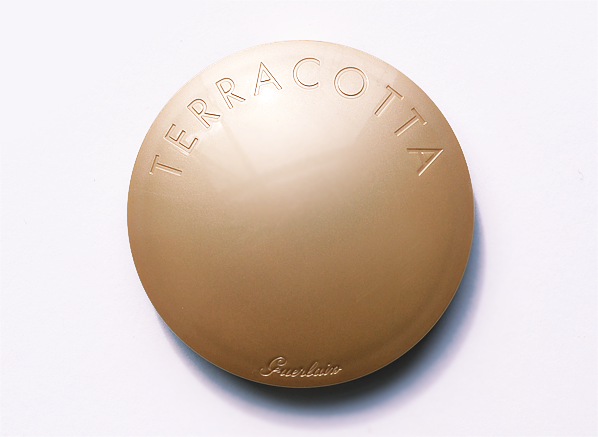 The Terracotta Joli Teint compact is perfect for on-the-go application with its sleek and lightweight packaging. I don’t know about you, but I much prefer packaging like this to metal alternatives; it’s hardier and stays looking luxurious for longer so you can keep it in your makeup bag without worrying about scratches, which is just is just as well, as this hasn’t left my side! I keep this powder close to hand to use as an all-over setting powder (sparingly) and radiance enhancer for cheekbones and the high points of my face (liberally) – it’s seriously effective in banishing that midday grey. 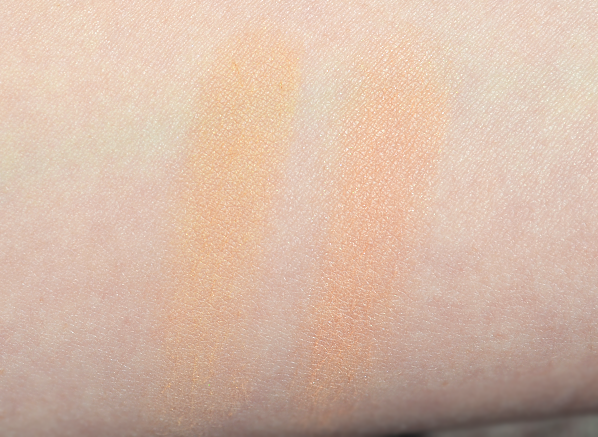 The shade I got to try is 01 Light Brunettes, which pairs a subtle base powder shade with a small strip of apricot for a radiant pop of colour. I love a good peachy shade! There are three other harmonies available: 00 Light Blondes, which pairs a subtle base colour with a sweet strip of brightening pink; 02 Natural Blondes, a slightly warmer and darker base colour with a strip of pink; and 02 Natural Brunettes, a warmer, darker base colour with a strip of apricot. The texture of Terracotta Joli Teint is beautiful. Its coverage is sheer and very subtly infused with golden microglimmer, which adds to the overall diffused, ‘healthy look’ effect. 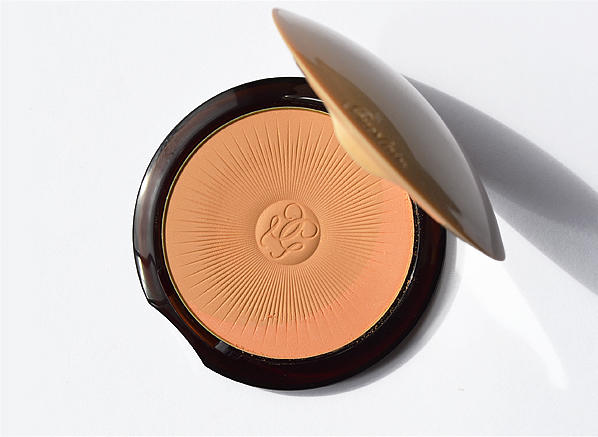 If you like to sculpt and contour with your powder, or you’d like a bronzed look, this probably isn’t the right choice for you (take a little look at the original Terracotta Bronzer instead). But if you like an overall, imperceptible glow, Joli Teint is just a dream. Making a reappearance for summer 2015 is Terracotta Sun Serum, an indispensable product for those who like their holiday glow to last for as long as possible. Billed as a ‘customisable after sun’, this highly concentrated complex can be added to any of your existing facial or body skincare products to transform them into a soothing, tan-prolonging formula. 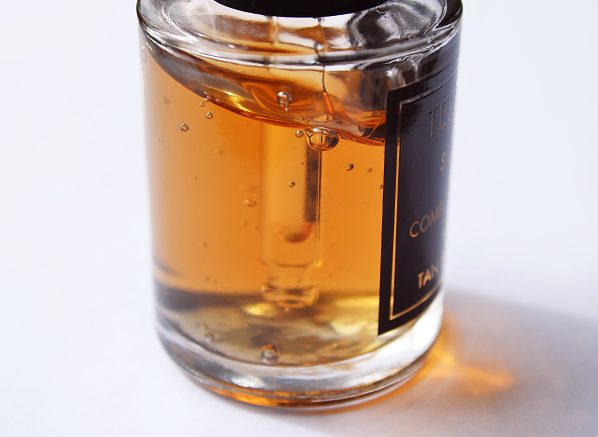 The texture is nicely viscous, which allows for lots of control when you’re dispensing with the dropper. This slightly thicker, gel-like texture also makes it much easier to blend properly with your chosen skincare product; it doesn’t separate, or make your skincare too runny afterwards. Start using Sun Serum before sun exposure and reuse frequently afterwards to achieve a long-lasting golden result. You don’t need to use much as a little goes a long way; just 2 drops of serum in your face care and 4 drops in your body care is enough. It’s really important to remember that this isn’t a replacement for your sun protection – you must continue to use adequate sun screens to properly protect your skin! What do you think of Guerlain’s summer offerings so far? This entry was posted on Tuesday, April 7th, 2015 at 5:04 pm and is filed under Make-up, Sun and Tanning, Swatches, Tried & Tested. You can follow any responses to this entry through the RSS 2.0 feed. You can skip to the end and leave a response. Pinging is currently not allowed.